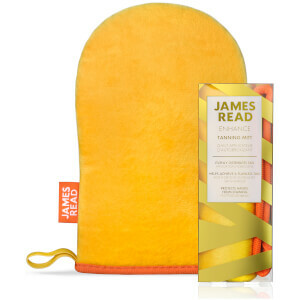 James Read tanning solutions fuse at-home tanning with skin care, providing a luxurious twist on sunless tanning. Glow-getters form an orderly queue. The British brand’s mantra is that a good self tan should be like a good face lift – completely undetectable. That’s why each and every James Read formulation incorporates a patented Tantone Technology to guarantee the most natural-looking radiance around. 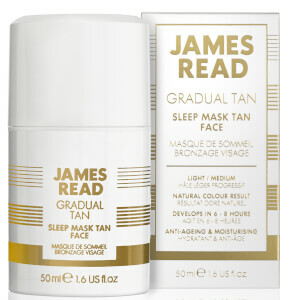 We love the James Read Sleep Mask – a sophisticated self-tanning solution for the face that develops through the night as you sleep, without ever leaving a trace on your bed linen. The world’s first overnight, hybrid tanning product – this delicious formula is infused with aloe vera, hyaluronic acid and algae extract to intensely hydrate the skin so you can wake up with a lit-from-within glow! Adored by the press and the glitterati, the award-winning brand has revolutionized the at-home tanning status quo. Discover trailblazing skin care/self-tan inventions to suit every skin tone and type, now.